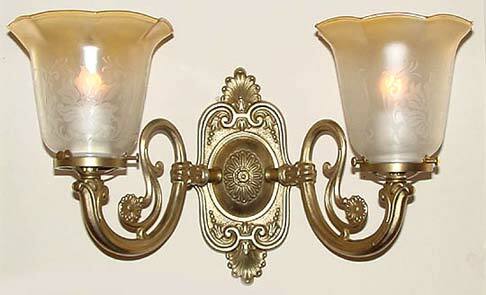 A more Victorian wall light with a different arm than the previous fixture. Note how this change in arms changes the 'feel' of the light. A lower profile back plate keeps this unique fixture closer to the wall. Can be mounted up or down. (These shades are not presently available). Width 16 In. / Projection 10 In. / Depth 9 In.